There are still many businesspeople who do not know the importance of having a corporate lawyer in Orange County, California contracted. There are also many misconceptions about what a corporate attorney does. Some entrepreneurs think that a corporation attorney only represents the company and not the stockholders of the corporation. 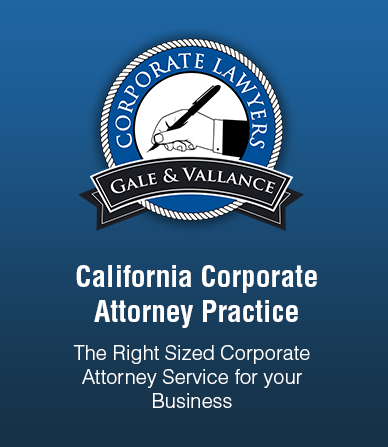 Learn about what a corporate lawyer in California truly does for a company by reading this article. A corporation attorney represents a given corporation and is the trusted advisers for their respective company. Therefore, it is the duty of a corporate lawyer in California to look after the interests of the corporation as a whole, and not the personal interests of the officers, the directors or the stockholders. The corporate lawyer can be compared to a family doctor. Just like a family doctor, a corporate attorney takes care of the issues that threaten the health of a corporation. If a situation arises wherein special attention is needed, the lawyer will refer the matter to another legal specialist. Also like a family doctor, the quality of service that a lawyer will offer the corporation will not be dependent on who is serving as officer or director at the time. The corporate lawyer will give sound legal advice regardless of who is head. The corporate attorney in Orange County, California can help a lot during the initial incorporation of the company. A corporation attorney will file the articles of incorporation. When the corporation has started, the lawyer will also make the draft of the minutes of the incorporator and draft the minutes of the initial board of directors meeting. The corporate lawyer will also be the one to prepare the share certificates as well as draft a share ledger. There are many other things that a corporation attorney in Orange County can do for your company. You can be sure that your company is protected from any legal issues if you have a lawyer contracted. Moreover, in the event that your company faces a lawsuit or needs to sue a person or company, you can have an advocate to get you through the processes.